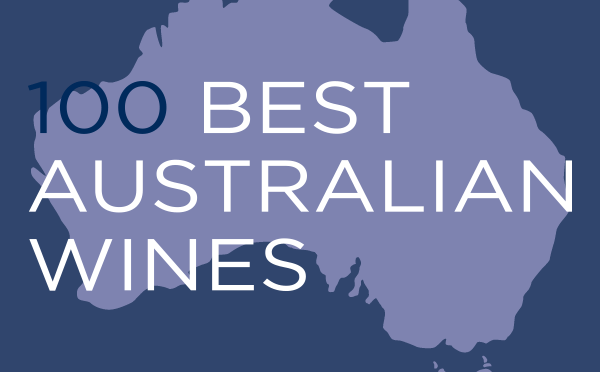 Once a year, London-based Jukes compiles his list of the 100 best Aussie wines going around. He has a truly international perspective and so when he says our local drops are right up there, you know the wines are being judged alongside the world's best. I've taken all the work out of the task and compiled some mixed pack suggestions from FTP producers who feature heavily in this year's list. The wines he loves come from caring and meticulous wine producers whom I love dearly, and I know you'll love them too once you taste their delicious offerings. These packs are compiled for your convenience but don't forget you can put your very own pack together with a few easy clicks. Don't like white? Follow my pack and swap the whites for some more reds. Only drink shiraz? Grab a straight 6 or 12. Easy! Remember 5% discount and free shipping will be automatically applied at checkout. 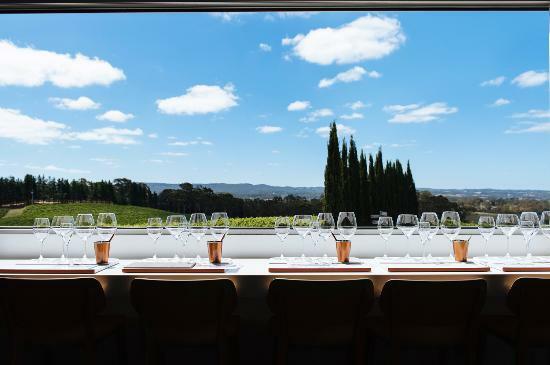 New to From The Producer is The lane, a 5 Star James Halliday producer loved by Matthew Jukes. This place is simply one of the most magical places on earth for lunch and the wines draw you in sip by sip seeing you eat out of the palm of their hands by night's end. Jukes awarded the Beginning Chardonnay a place in his Top 100 but there were special mentions for the Gathering Sauvignon/Semillion, the Reunion Shiraz, the RG Chardonnay, and the 19th Meeting Cabernet Sauvignon. These are top-flight wines, mark my words. We dropped in for lunch on our way back from Margaret River and I must say, I had Pinot firmly on my mind..... but despite the beauty of the Pinot, it was the 19th Meeting Cabernet that had me dumbstruck and reaching for a full glass..... who'd have guessed it. Asked about his favourite producer at his Top 100 tasting in London, Jukes kept finding himself saying "go to Tahbilk – the wines are simply gob-smacking" over and over again. He is a massive fan of their Marsanne (a true Aussie Icon) and the 2014 vintage was in his Top 100 last year. But it's their take on Viognier that has his attention this year landing them their first of two slots. The second slot goes to the Cane Cut Marsanne (sweet) because it is just so "thrilling and alluring" that he can't believe that there is any left to be had. I have long been a massive fan of their Roussane Marsanne Viognier blend and this is definitely a winter white wine..... It also has 95 Sir Halliday points and represents sensational value. 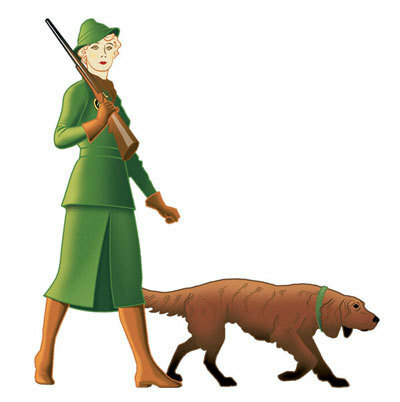 Well, I have to say I was pretty chuffed to see the Fowles Wine 'Ladies Who Shoot Their Lunch' Shiraz in the Top 100. Not just because they are great producers but because I picked this wine's little sis (Are You Game Shiraz) in my top wines of 2016. Some of you will remember tasting it at my summer drinking tasting session late last year... and some won't remember much at all. I love the real "pop" of these cool-climate, spicy and supple wines. Great value drinking here and you simply cannot go wrong with the mixed six I've put together on this one. Thank you so much for reading my little email and engaging with the content. If you want to support FTP but are not in the market for wine right now, please simply click a few of the links and simply have a look around the site. I would LOVE any feedback you have especially about the reasons you didn't purchase and any thing else you think needs improvement. Feedback is a gift and I will treat yours as such. Hope this email finds you well and with glass of wine in hand. EXCITING NEWS! I’ve just returned from an epic wine adventure making wine at one of the top producers in the Margaret River, Woodlands. It was hard work, long hours and lots of beer was required… but I made it through and I return to you renewed and keen to share whole lot of exciting news. 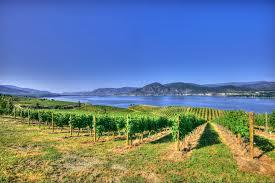 Firstly, I am now focused entirely on building my very own wine endeavour; From The Producer. It is an online marketplace for producers that cuts a heap of cost out of the supply chain and shares those savings between you and the producer; you pay less, they get more. Secondly, I have signed a HEAP of awesome new top quality producers for you to select from. We now have over 300 top quality wine producers with more coming on board everyday (we have more than 50 James Halliday 5 star producers). There are so many to choose from now, it will be just down to you getting behind the concept and showing them some love with a purchase or two. Thirdly, we are moving rapidly towards a loyalty model that will reward you handsomely for shopping direct with the producer and cutting out all of the waste built into the traditional bricks and mortar (and even online store) model. It will be a multi-tier model where the more you spend the greater the discounts. Xanadu mixed six (2 Chardonnay, 2 Cabernet, 2 Shiraz) $200 – Can do no wrong in my eyes. The Cabernet in this pack is one of the very best I tried in the 12 weeks I was in the region and they are just smashing every single wine they make. Have always been a big admirer of their Chardonnay too and the 2014 will not disappoint. ….. and, as well as getting great wine, giving a bit back, getting silver membership, being an innovator, a legend and a star, you will also get FREE SHIPPING and 5% off the sticker price at checkout! In my best Arnie voice….. JUUUUST DOOOOO IT! Catchya next week and have a great weekend - bring on the wine. Well, I remember quite fondly penning a blog a few years ago about the merits of the Cabernet Shiraz blend and how quintessentially Australian that particular style is. This Australia day, I’m going to go a bit more specific and talk about the three very special wines that are so uniquely Australian, there is nothing that compares anywhere (and I mean anywhere) in the world. There is something so very unique about each of three that sets them apart. Hunter Valley Semillon – Semillon is rarely made as a single variety wine elsewhere in the world (mostly used in blends). It’s certainly not made to the quality standards seen in the Hunter and nowhere else do we see such age worthiness and development as we see with Hunter Sem. Rutherglen Fortified – Rutherglen has some of the oldest Muscadelle and Brown Muscat vines anywhere in the world. It’s HOT and dry and they have blending material dating back more than 100 years (thats right, barrels of wine that have been around for more than a century). Sparkling Shiraz – And Sparkling Shiraz is made nowhere else in the world either. Sure, the Italians do Lambrusco but that’s a simple, slightly effervescent fun drink made for immediate consumption. Aussie Sparkling Shiraz on the other hand can have all of the hallmarks of the most complex and decedent shiraz, combined with the pure genius of secondary fermentation in bottle. It can be a heady drink, serious and noteworthy. Two Rivers Stones Throw Semillon ($20) – 5 Star James Halliday producer who constantly impresses with this $20 Semillon. Margan Semillon 2015 ($20) – A real classic young Hunter Sem. Long, lively and so juicy. James Halliday 95 pointer. Pfeiffer Grand Rutherglen Muscat ($83.50) – an absolute masterpiece! SUMMER! Its arrival always spurs such warm feelings inside of us. There is something purely natural about how we feel when summer arrives. Nights get longer, lights seems lighter and the world seems to come alive under the welcoming rays of sunshine. Last Friday night, From The Producer assembled a group of fond supporters to taste through our recommendations for some classic summer drinking #summerdrinking. We tasted through Gold Medal winners, James Halliday Top 100 wines, Vic 100 winners and a few we just love. Sam Miranda Prosecco ($20) - Crisp, light (nearly effervescent) bubbly with plenty of personality. Vic 100 winner. Yalumba Y Series Pinot Grigio 2016 ($13) - Lovely fresh, dry and full flavoured white wine, great for picnics. James Halliday Top 100 2016. Bargain of the night. Tahbilk Marsanne 2015 ($17) - Citrus, spice and honeysuckle. A beautifully balanced food wine, perfect with a roast chicken picnic. James Halliday Top 100 2015. Stella Bella Sauvignon Blanc 2016 ($24) - Like a guava to the face this is one very serious wine. 97 points and best Savvy of Show at the 2016 Melbourne Wine Show. BAM! Deep Woods Harmony Rose 2016 ($15) - Dry and subtle with lovely wild strawberry nose. Take it on a date to the park! Gold Medal 2016 Melbourne Wine Show. Athletes Of Wine Alto' Alto Field Blend 2016 ($27) - A wine for "drinking not thinking" as the boys from Athletes say. This one was served slightly chilled and is a perfect foil for a hot day when red wine is needed. Very popular on the night. Payne's Rise "Mr Jed" Pinot Noir 2015 ($30) - A well structured Pinot really displaying both region and varietal characters quite perfectly.... without breaking the bank. Great with duck. Vic 100 winner. Bream Creek Pinot Noir 2012 ($34) - A sensuous and alluring pinot. Darker fruits and a silky texture make this one slip down dangerously easily. Lots of bling including Gold at Melbourne Wine Show. The Story Grampians Shiraz 2014 ($29) - Hailing from three great sites in the Grampians, I thought this wine was just GORGEOUS. Nice carry and great balance of spice and sweet blooded fruit. This is great now but will improve with a few years. Wine of the night - as voted by yours truly. Pertaringa 'Undercover' Shiraz 2014 ($20) - Another great value wine, this one with more classic Aussie Shiraz styling. Still a very nicely balanced wine but true to its regional form (McLaren Vale) was a bigger, richer wine. Great with char grilled beef. We have quite the bevy of James Halliday 5 Star rated wineries on From The Producerbut it’s one thing to have the five stars and quite another to get one of your wines in the top 100. Just to put it into perspective, Sir James’ top 100 are selected from a total of 1435 wines submitted; making the Top 100 the best 7% of wines in the country. In reality, there are so many wines that are never submitted it’s probably more like the top 1%…… so really, it’s the elite wines of our country you are looking at. Stella Bella Skuttlebutt Margaret River Sauvignon Blanc Semillon 2016 (94 points, $18) – one of the most widely enjoyed blends out of the Margaret River just saw a big up in quality. This is summer drinking at it’s finest. Trentham Estate The Family Vermentino 2015 (92 points, $15) – A sneaky little Italian variety starting to make its way on the Australian landscape. A beautiful hot weather wine that can be served straight out of the esky with friends, some summer food and the outdoors. Team it with thier “best of the rest” Verdejo (below) and you have a great summer box. Yalumba Y Series Pinot Grigio 2016 (89 points, $13) – I’ve always loved the fact that Yalumba are one of the oldest wine companies in the country and that just keep striving for better and better things. Fresh, lively and just a smashable wine with personality. Get on it! Snake + Herring Perfect Day Margaret River Sauvignon Blanc Semillon 2016 (95 points, $23) – We go up a notch in quality here and start looking at wines made with real attention to detail and some tricky winemaking. Extra length and depth here making this one a wine that really stands out. Stella Bella Margaret River Sauvignon Blanc 2016 (96 points, $24) – WOW, 96 points for a Savvy B? Now James, I’m just going to have to try this one for myself (despite being a complete Savvy snob). Looking forward to cracking a few bottles of this next Friday for our Summer Drinking tasting. Tahbilk 1927 Vines Marsanne 2010 (96 points, $45) – From the original proponents of this variety in Australia and off the only vines with 90+ years to their name. This wine represents the best of the Australian pioneering spirit and will reward cellaring for many years. Snake + Herring Cannonball Margaret River Cabernet Sauvignon Merlot Petit Verdot 2013 (96 points, $38) – Another entry from the guys at Snake and Herring really shows how well the portfolio is going (grab yourself a mixed six, you won’t be disappointed trust me). A medium bodied blend that according to Mr Halliday offers an “Aladdin’s cave of aromas and flavours” and has a great tannin structure to boot. I’m looking forward to trying. So a massive congratulations to our awesome producers taking out places this year; especially Stella Bella and Snake + Herring who have taken a number of spots (not to mention roaring success at recent wine shows). Congratulations also to FTP producers Medhurst, Xanadu and Yabby Lake who’s products that made the Top100 are not currently available on FTP. Go support these great producers on FTP – and don’t forget that just by signing in, you will be eligible for 5% off all orders plus free shipping on all orders over $150 from any single producer. WOW, what a showing! Congratulations to all of our awesome From The Producer producers who scored big at the Royal Melbourne Wine Show. In particular, a massive congrats to Julian and the team at Deep Woods Estate who took out the most coveted award in Australian wine (the Jimmy Watson Trophy for best young red wine) with their amazing 2014 Reserve Cabernet. Deep Woods have been making some unbelievably good wines in the last 5 years and I can highly recommend any of their products; even the entry level wines as evidenced by the Harmony Rose (as below). Jump on and grab some wines from this impressive producer here. Hi, my name is Lloyd and I’ve been working on From The Producer for the past few years in my spare time. I went along to Federation Square in Melbourne a few weekends ago to celebrate the amazing success of From The Producers great winemakers in the Vic100; celebrating the top 100 wines of Victoria for 2016. All these wines are big winners, are highly rated and come with our stamp of awesomeness; so get behind these producers and go direct through From The Producer. Oakridge – all the Oakridge wines are made by the magician Dave Bicknell and the Local Vineyard Series (LVS) sources fruit from various growers around the Valley (not necessarily owned by Oakridge). They represent CRAZY value and with a string of 95, 96 and 97 point reviews, you simply CAN NOT go wrong with a mixed case from Oakridge. Paynes Rise – a real up and comer in the Valley making stellar quality wines at great prices across the board. James Halliday 5 star winery and a gorgeous little cellar door. Check out the mixed 6 here – EXCEPTIONAL value. 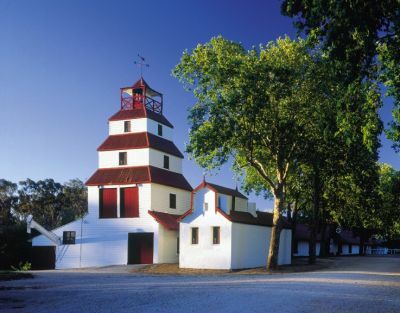 Best’s – An absolute iconic winery and one of the oldest in Australia. Just going from strength to strength and another one where a mixed case is never ever going to disappoint. I love the sparkling shiraz, the riesling and of course all of the shiraz. Crittenden Estate – The range of wines on offer across a large range of prices and styles at Crittenden is just awesome. From the fun and forward Pinocchio range through the traditional Geppetto series to the more serious Estate range there is great wine across the board here. The Vic100 winning wine came from the flagship “Zumma” Chardonnay, a great buy when compared to european versions at this style and quality level. Crittenden Estate ‘Zumma’ Chardonnay 2014 ($57) – For those who like a long and fine Chard, this takes some serious beating. I love the raw and unbridled tension in this wine and the perfect oak treatment. Will get better and better for 5-7 years I’d expect. 94 Points now….. but I expect this to hit 96 at it’s best. Grampians Estate – Proud owner of the ancient Garden Gully vineyard in Great Western which was rescued by a group of incensed winemakers who stepped in when Southcorp (Fosters/Rosemount) decided to pull out a whole bunch of very old vines because they were too unproductive (read very low yielding). These old vines struggling in an area that they probably shouldn’t be growing in, are at the centre of a great lineup of spicy and luscious shiraz that always gets better with age. Sam Miranda Prosecco NV ($20)– looking for something fresh, crisp and cold to go with your Spring fun? Sam Miranda of the King Valley will have you sated in no time. This has to be one of the finest versions of Australian Prosecco going around so if you’re into the bubbly stuff and like a bit of pear and apple notes in said drink, look no further, this one will last about as long as your money at the races.